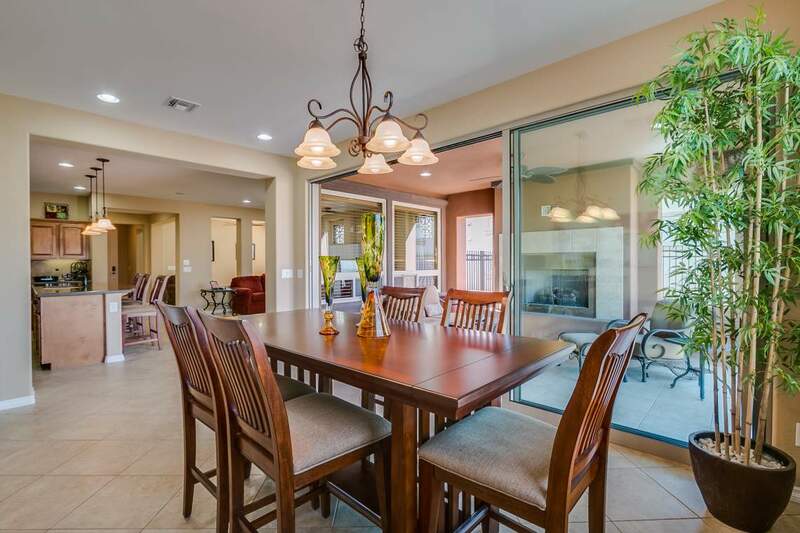 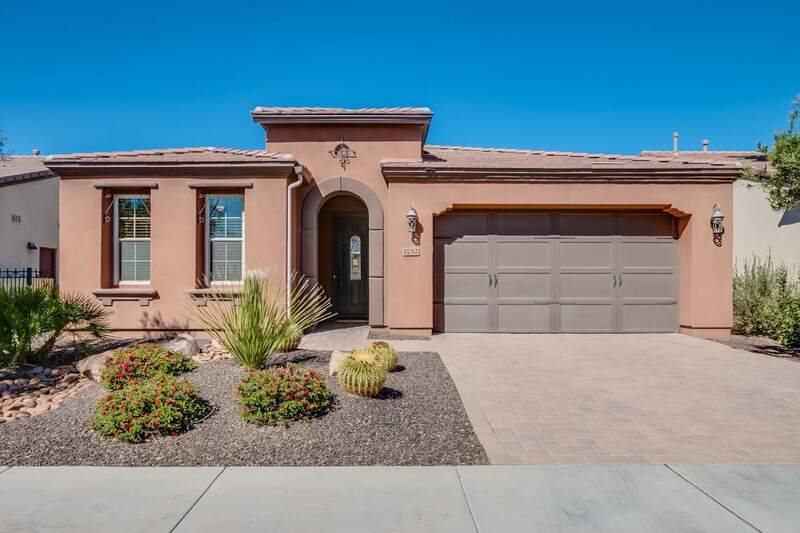 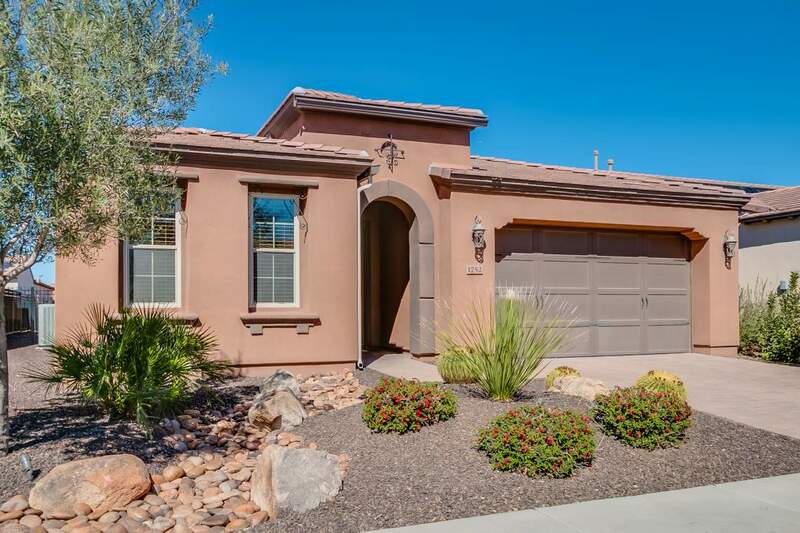 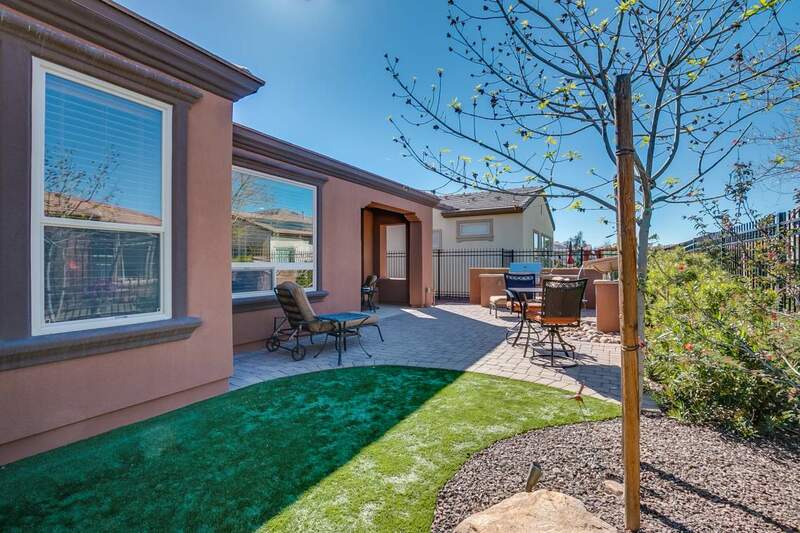 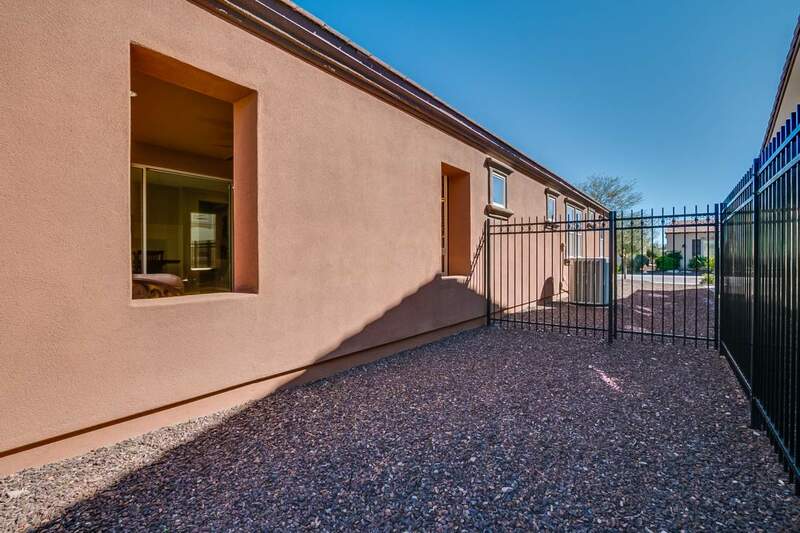 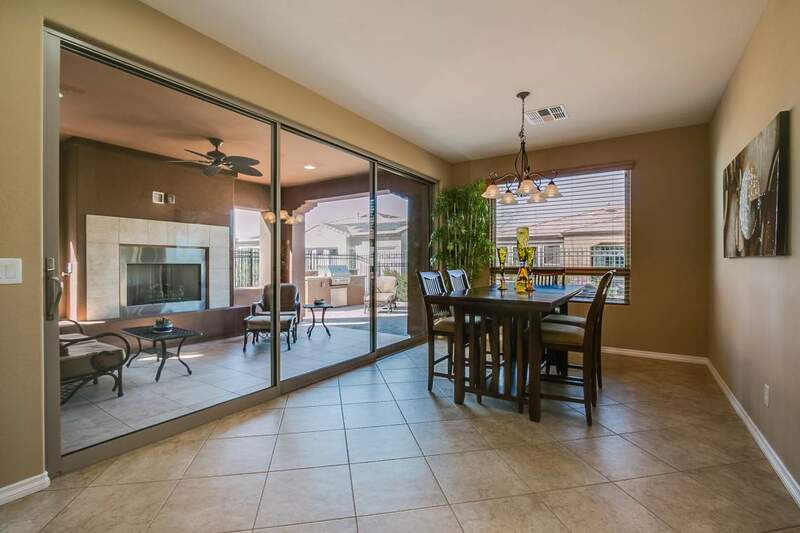 This popular ”Nice” floorplan offers the perfect outdoor space for entertaining family and friends. 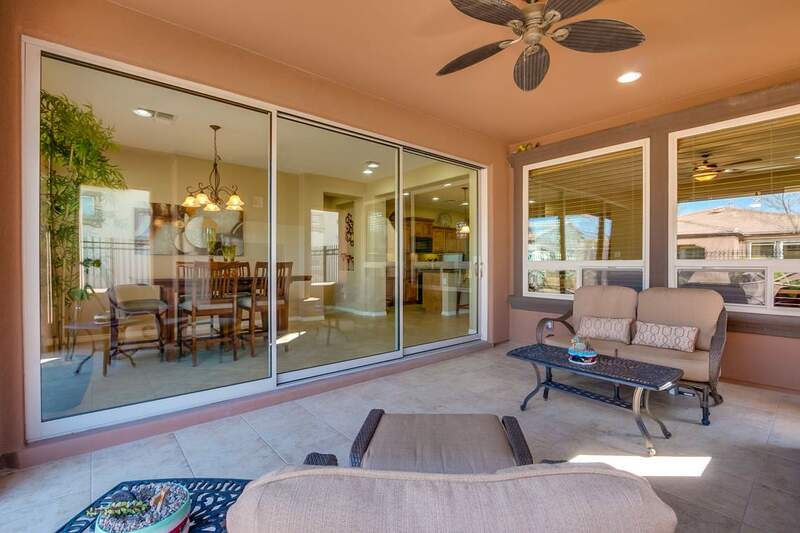 Step out back past the rolling wall of glass to a beautiful outdoor space. 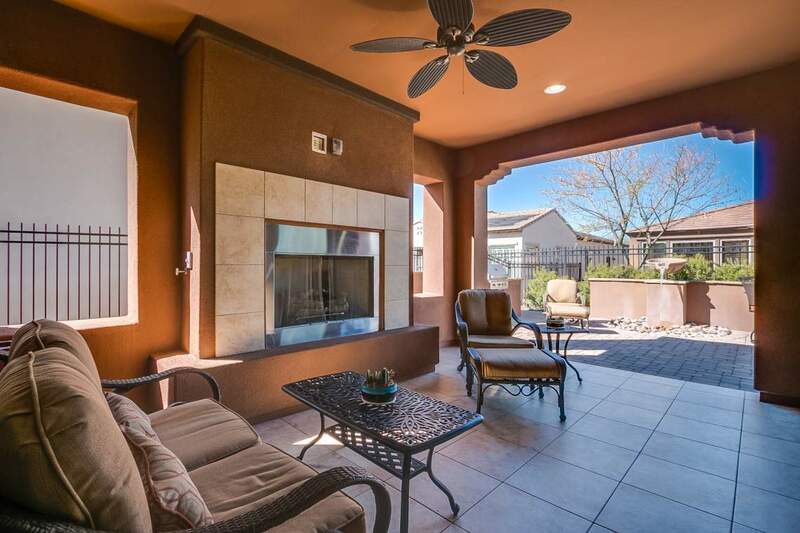 Cozy up by the gas fireplace and enjoy the good life that Encanterra offers. 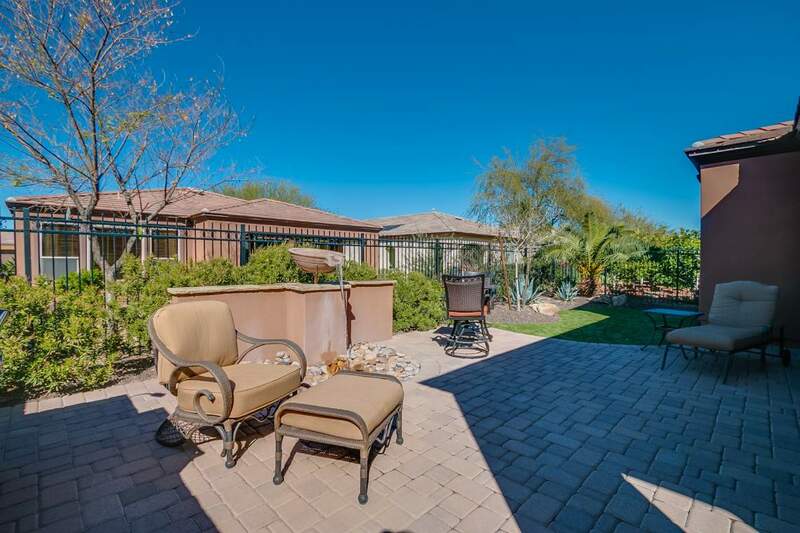 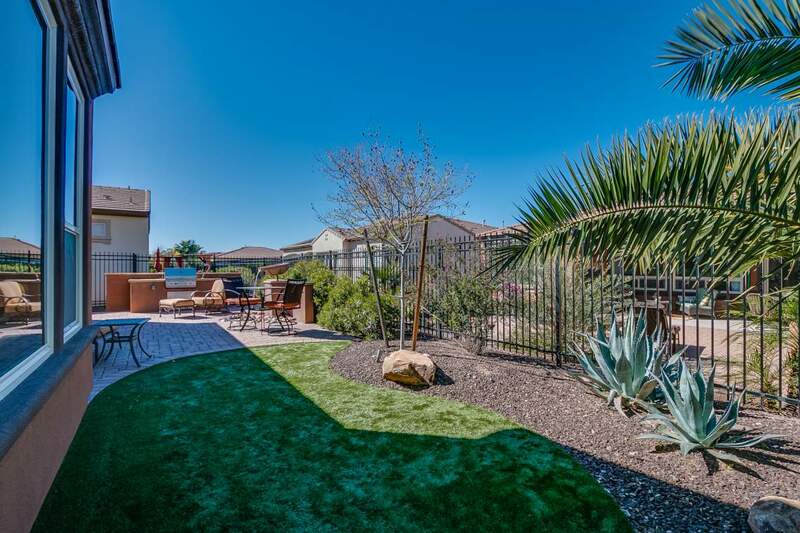 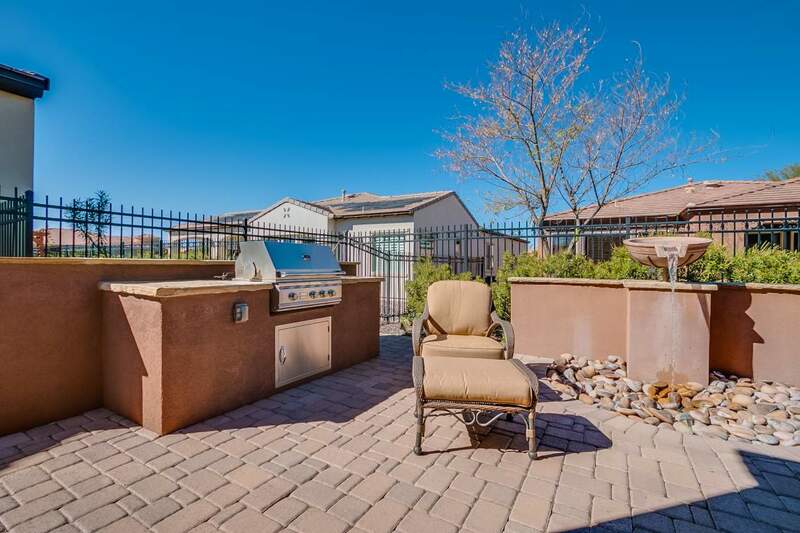 The backyard offers a custom water feature, BBQ grill, turf grass and mature trees. 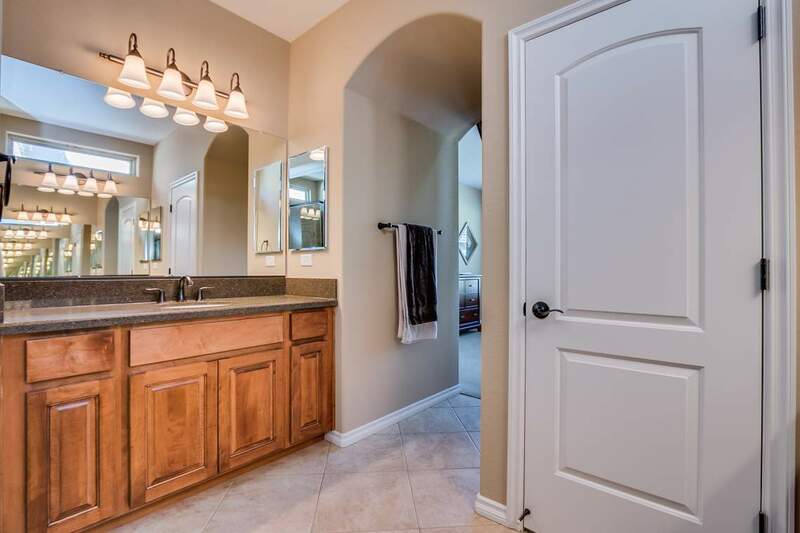 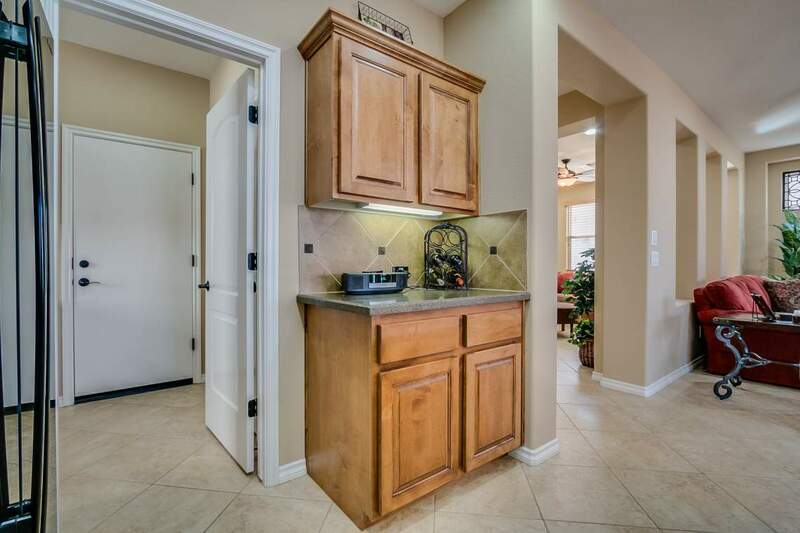 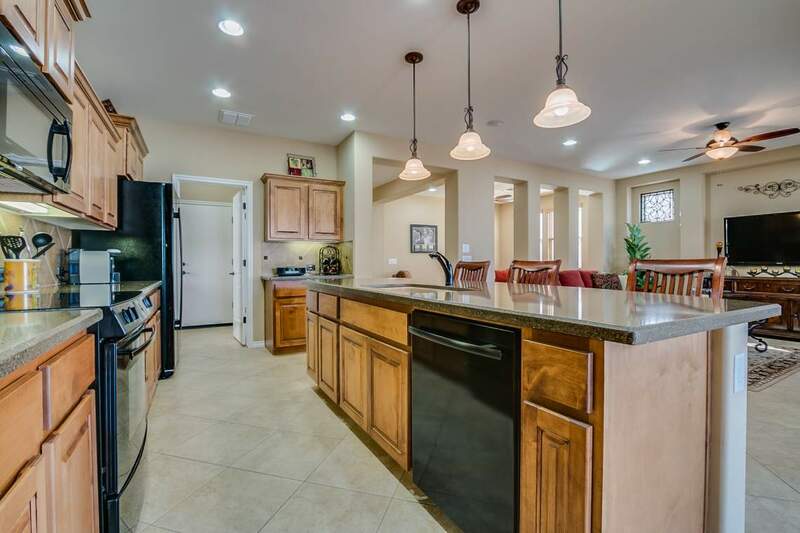 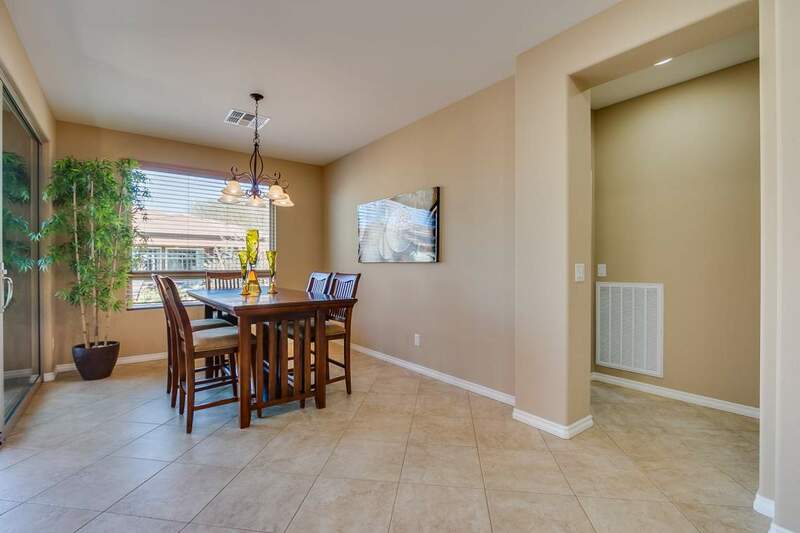 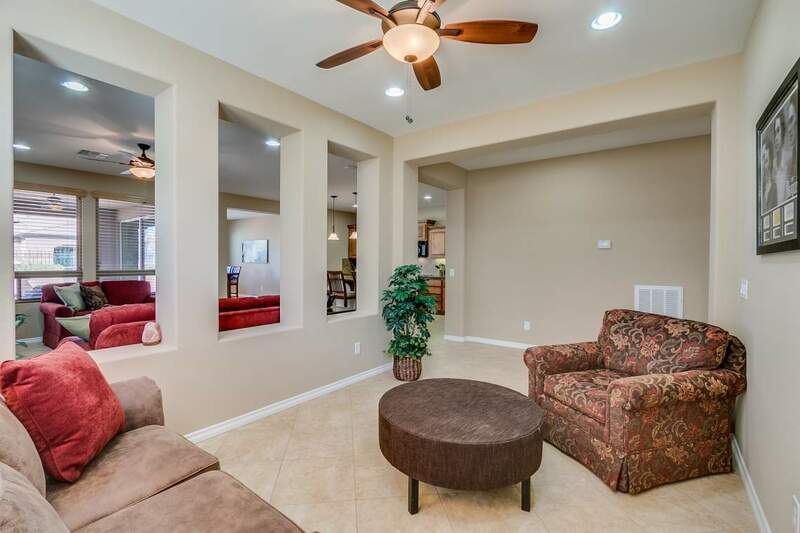 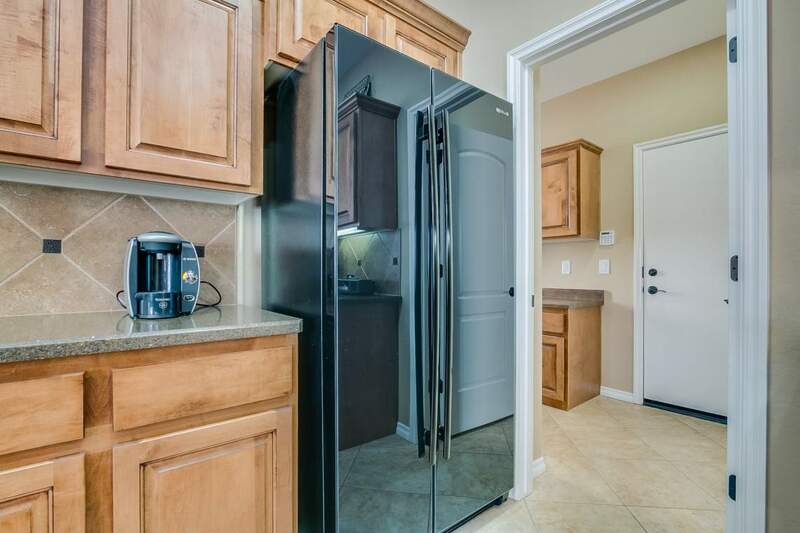 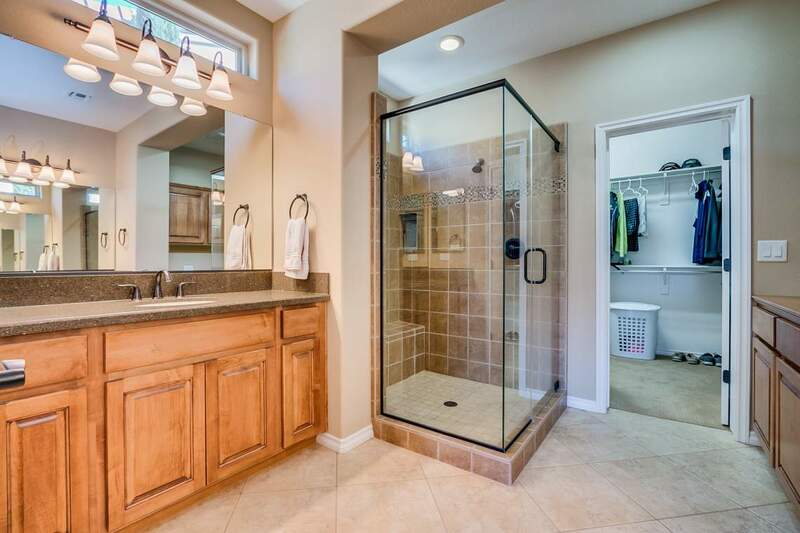 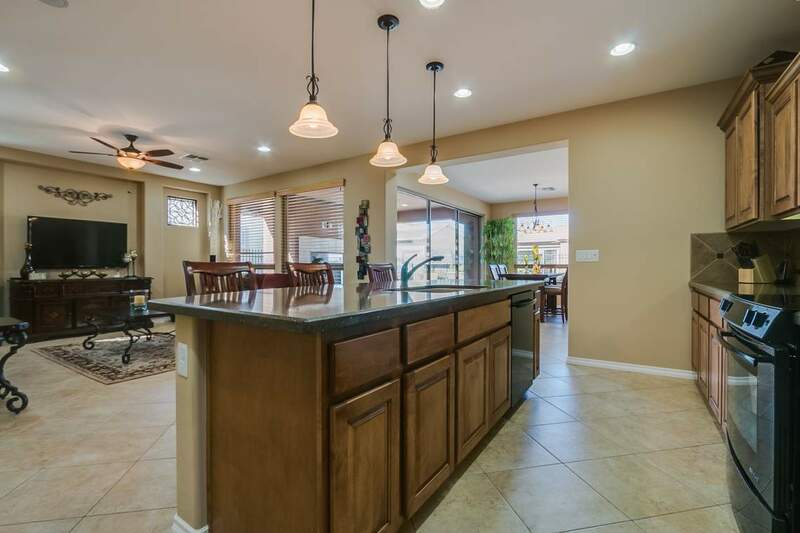 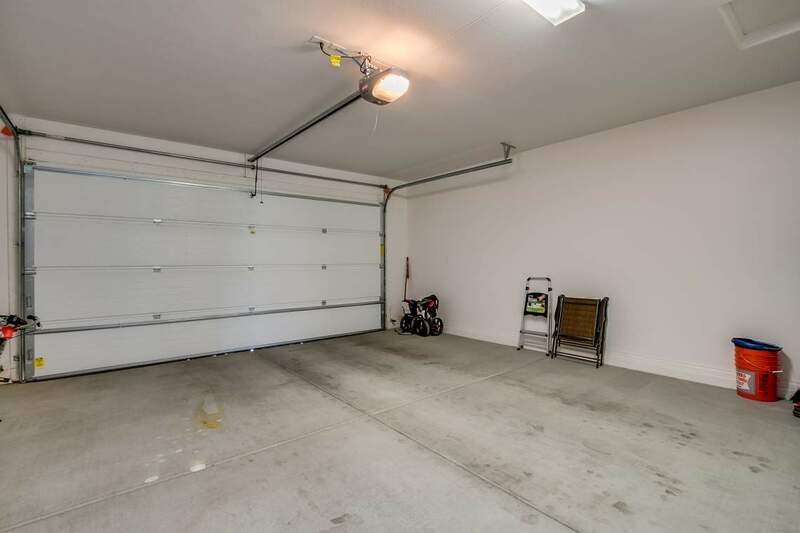 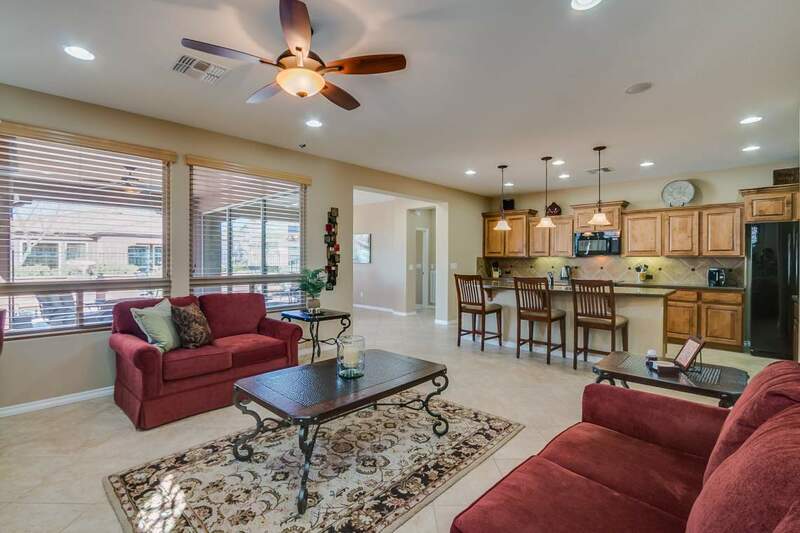 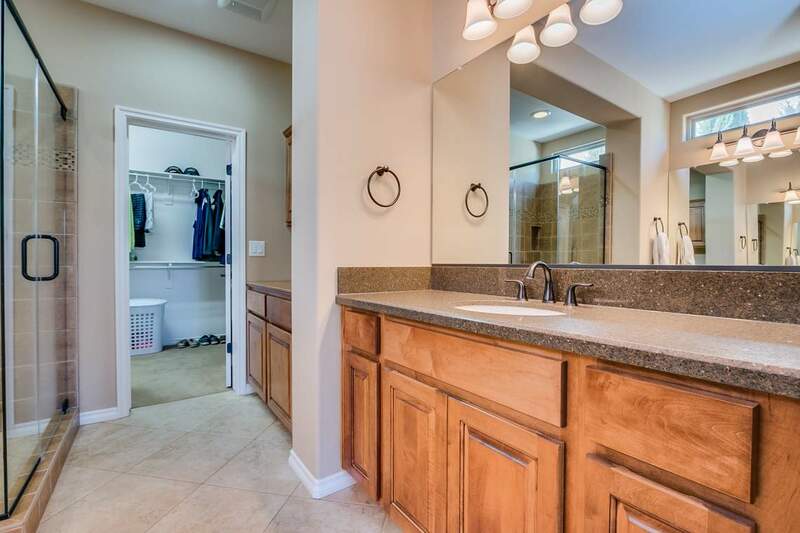 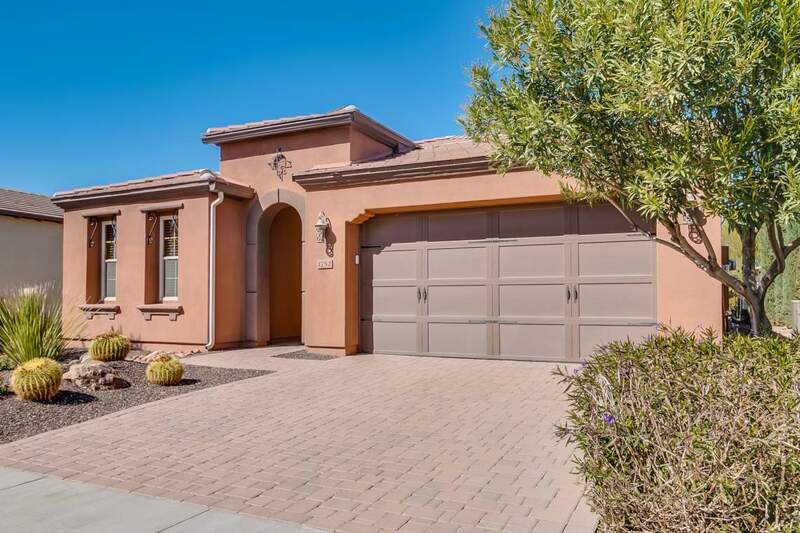 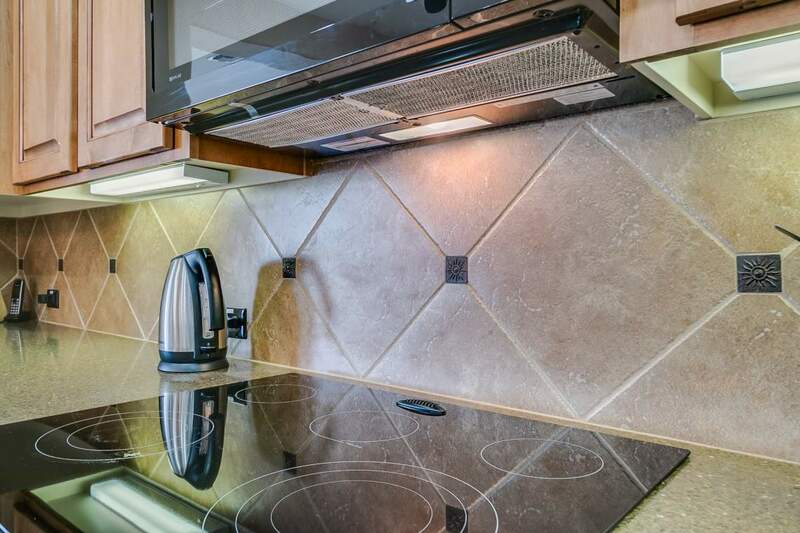 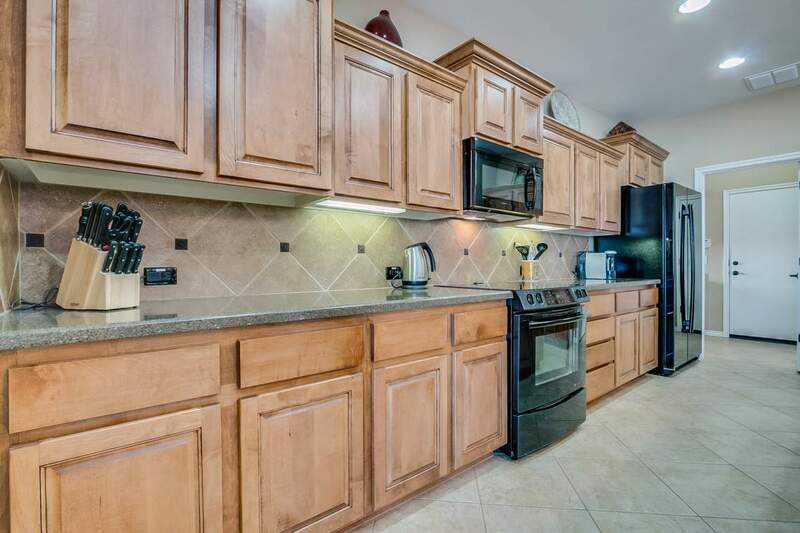 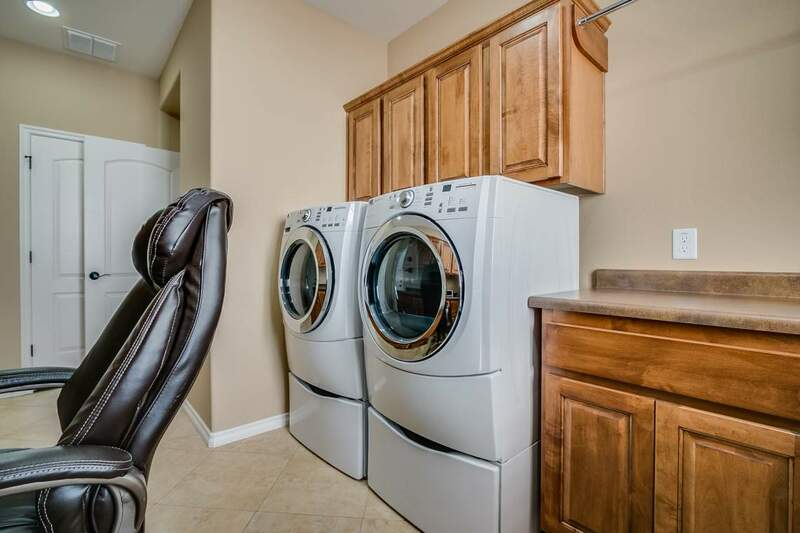 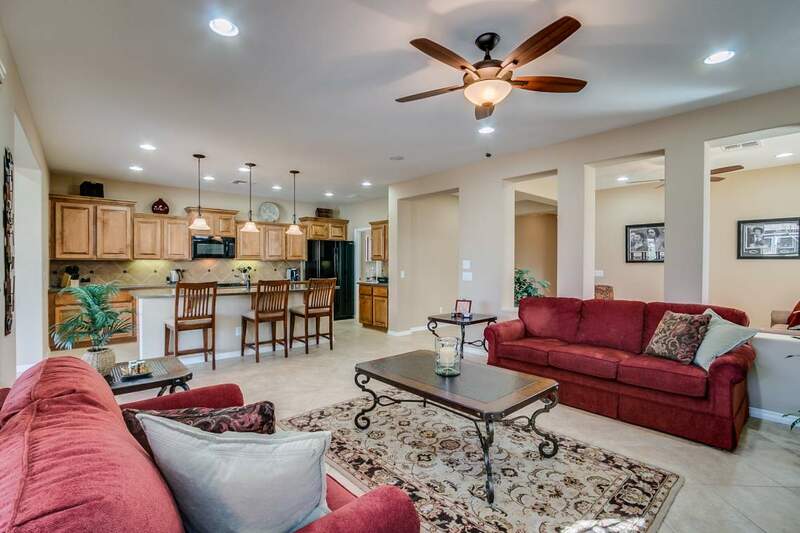 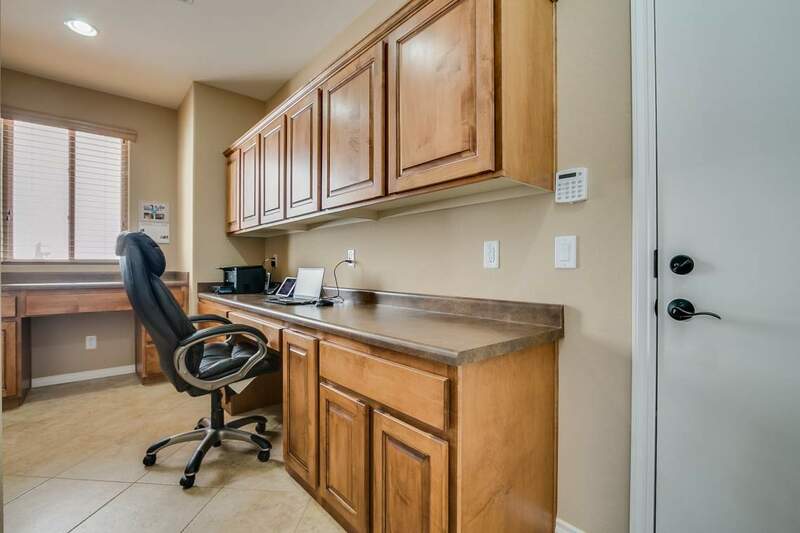 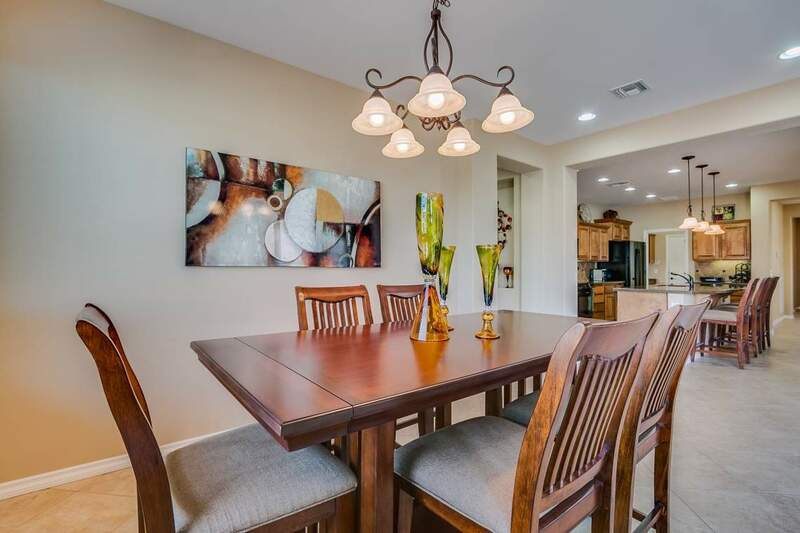 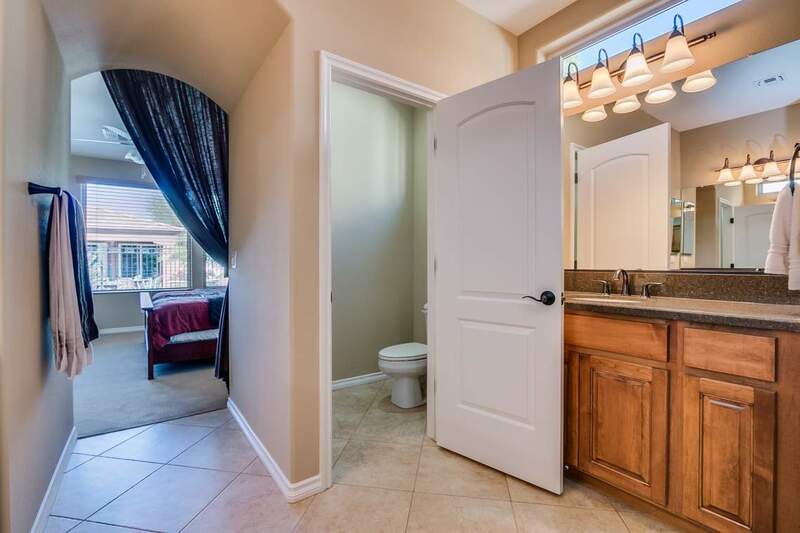 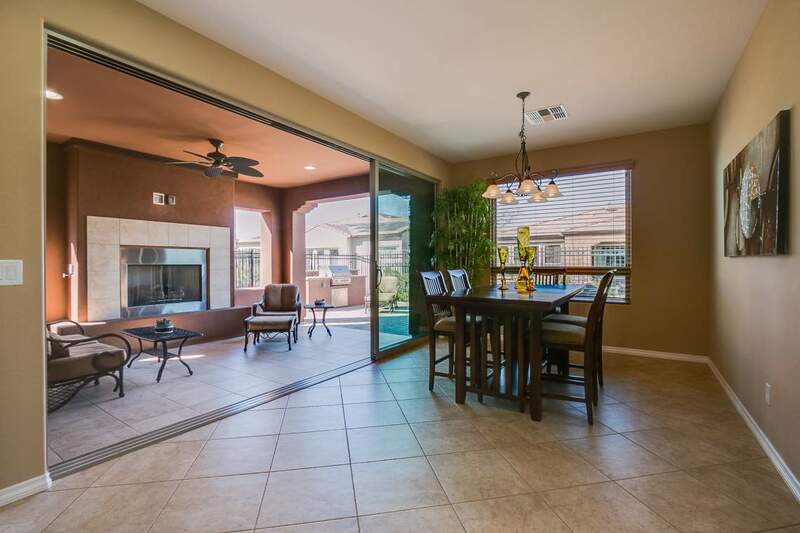 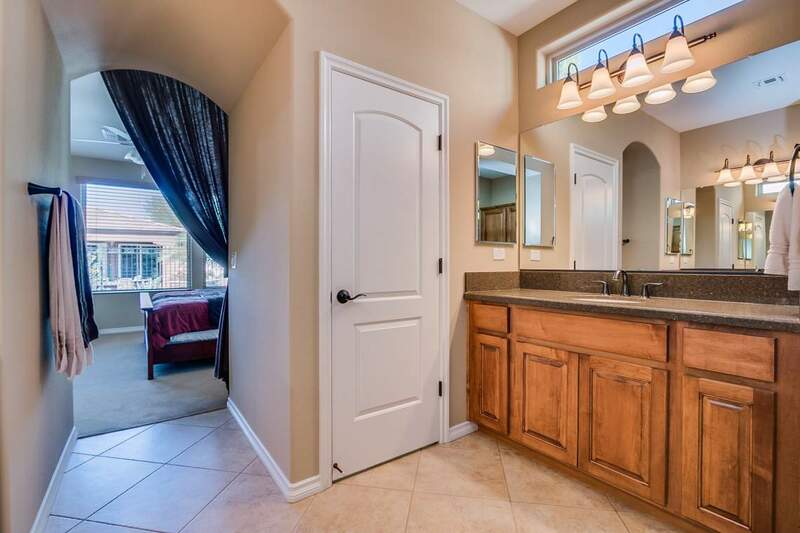 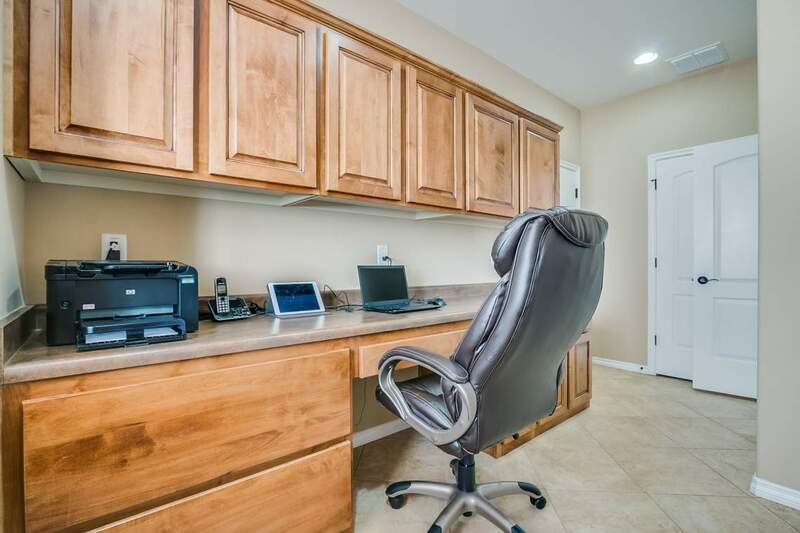 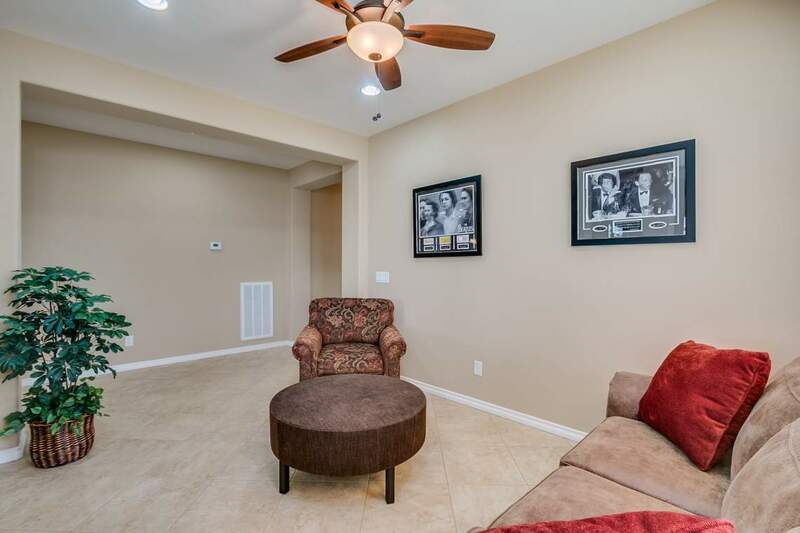 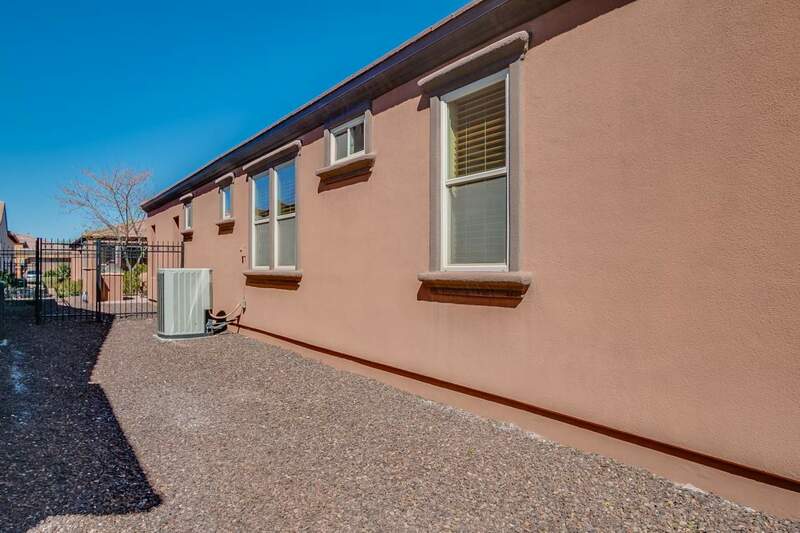 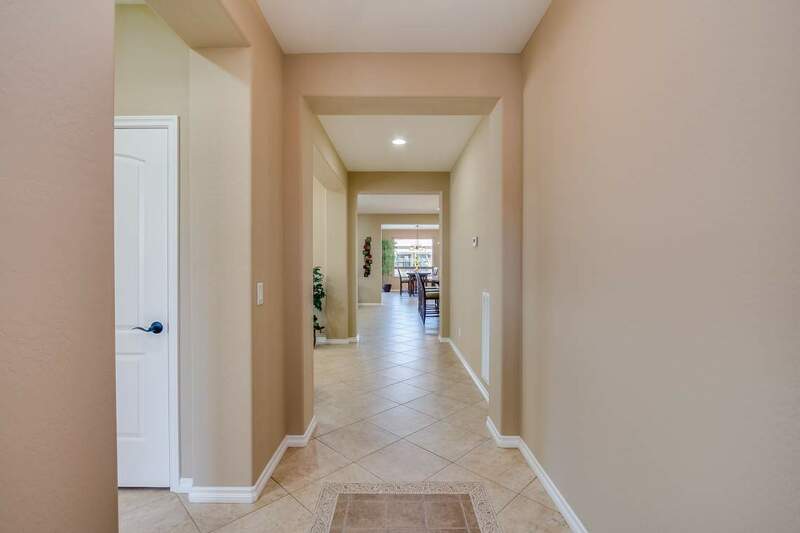 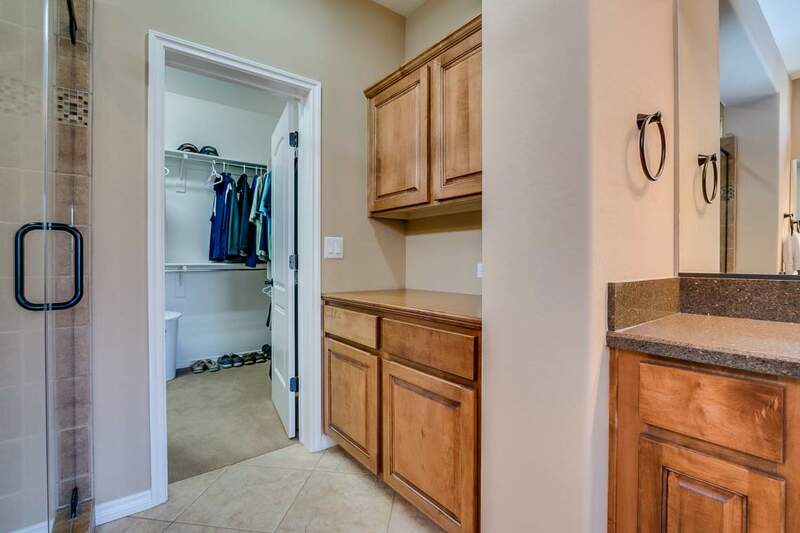 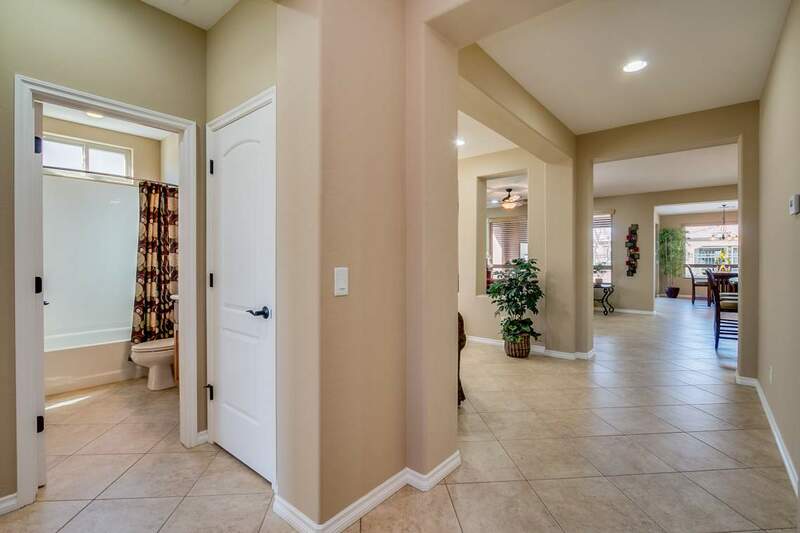 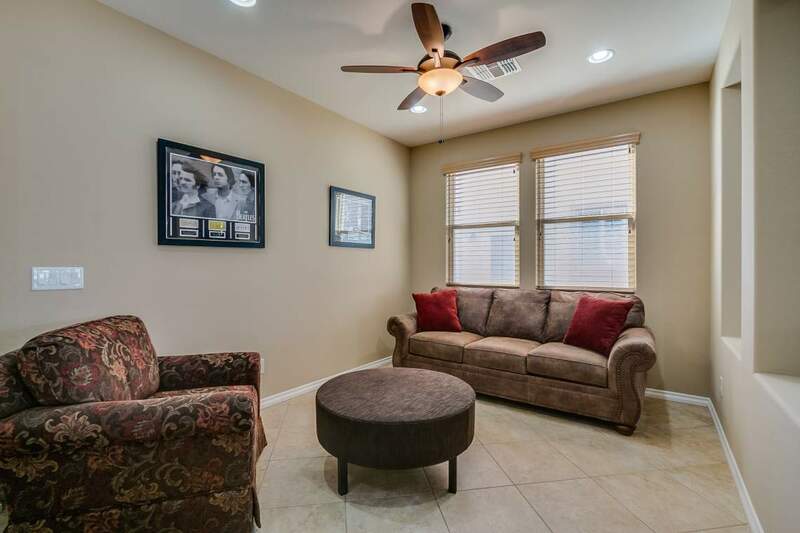 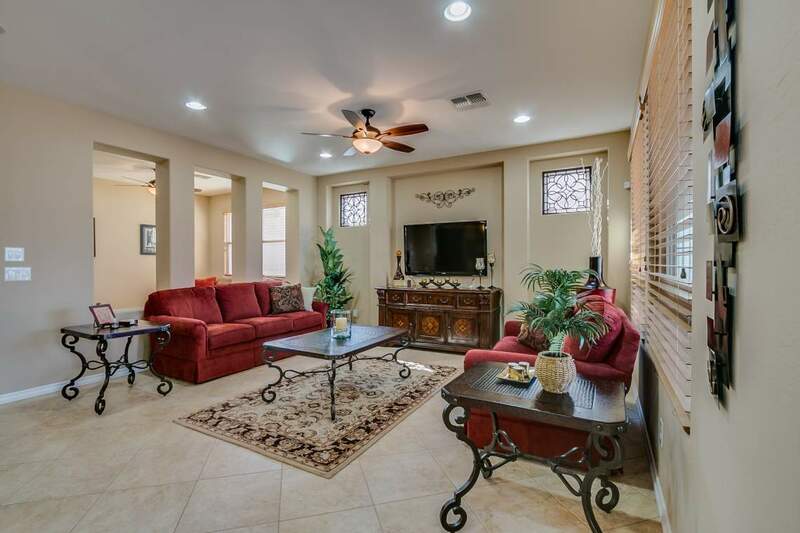 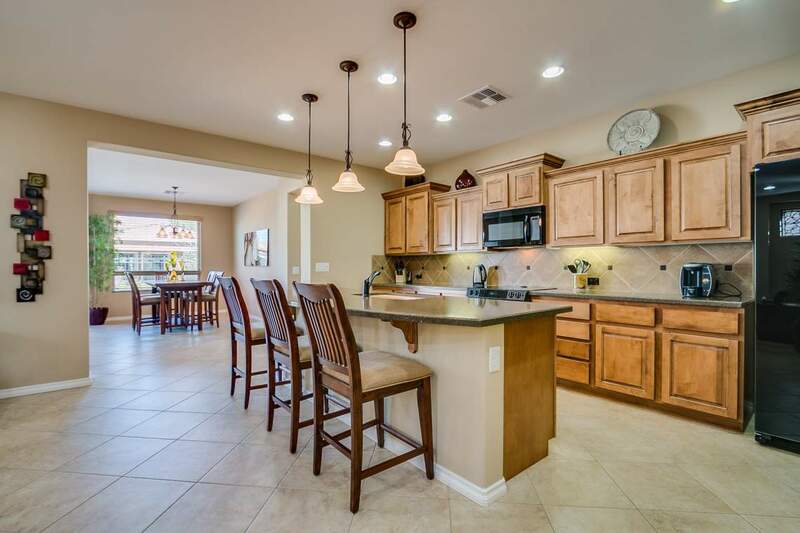 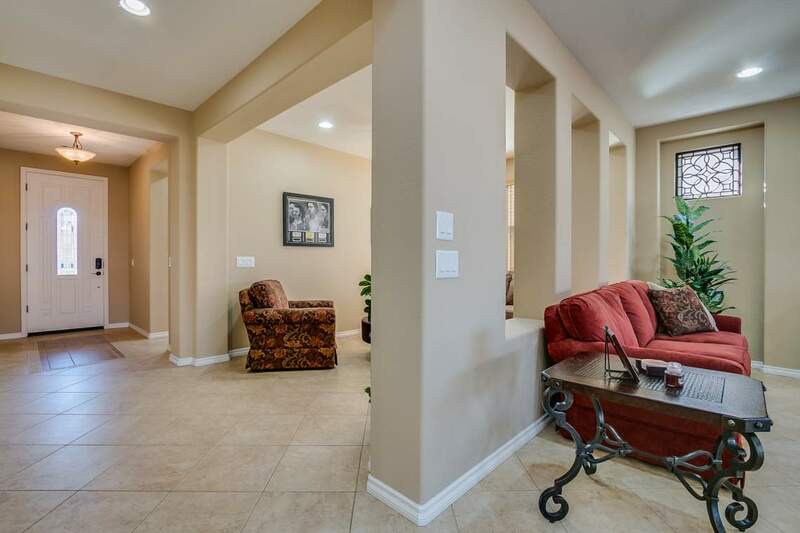 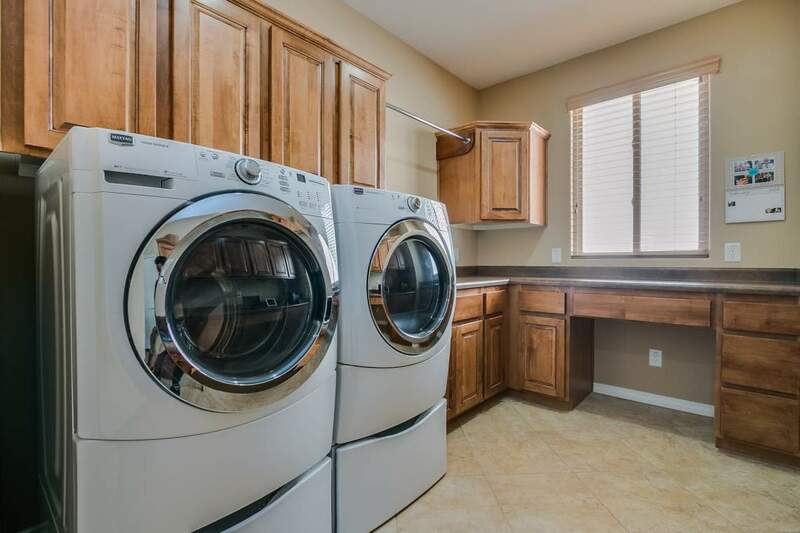 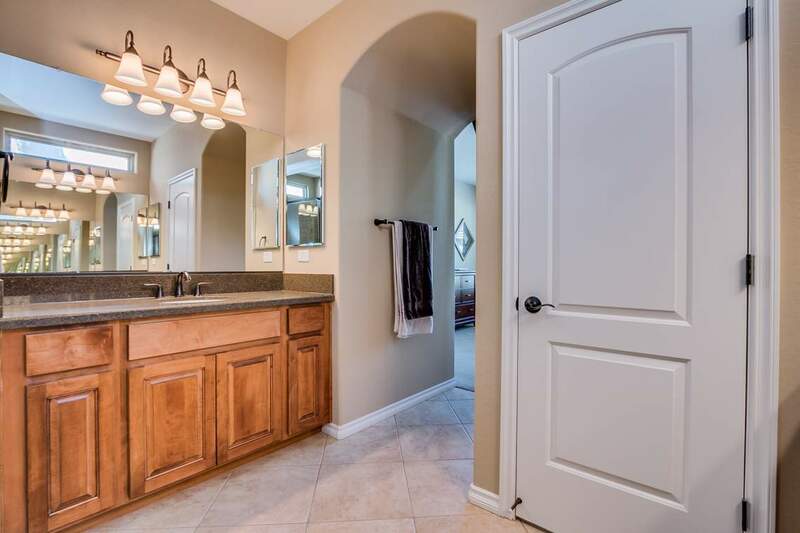 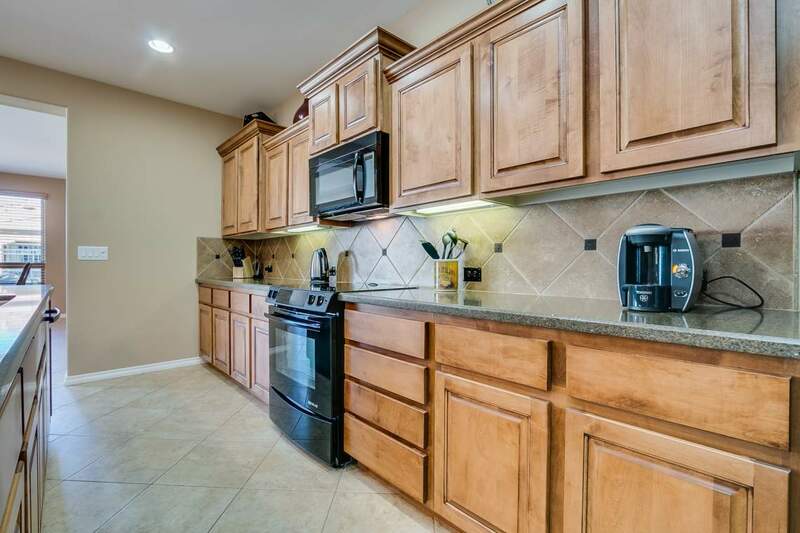 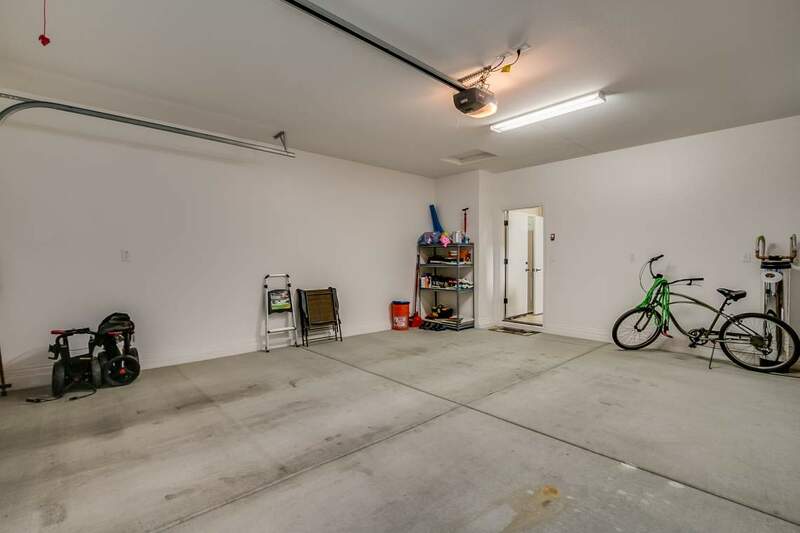 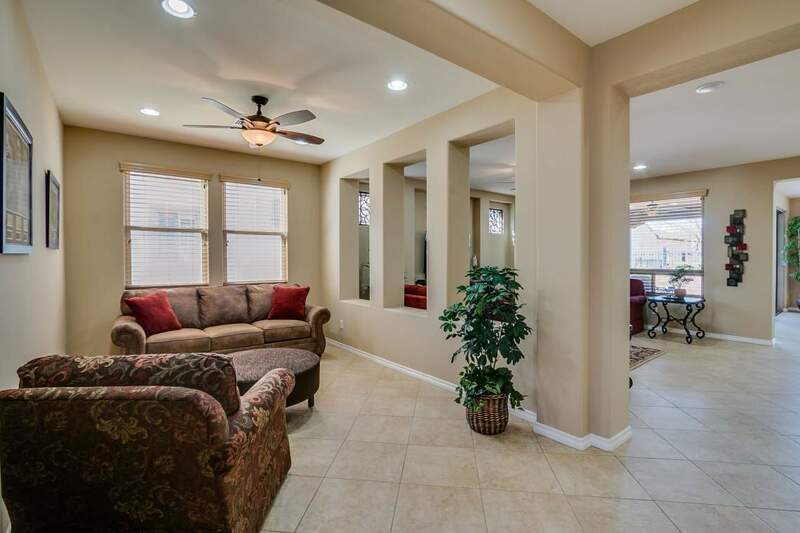 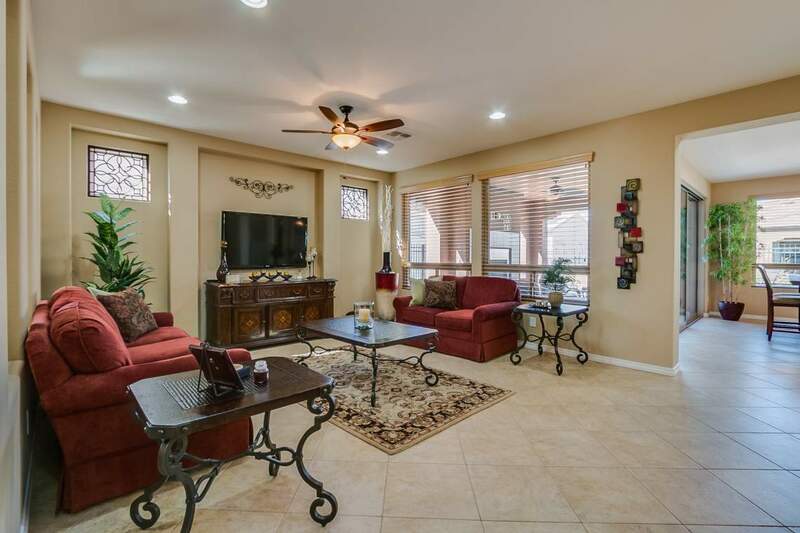 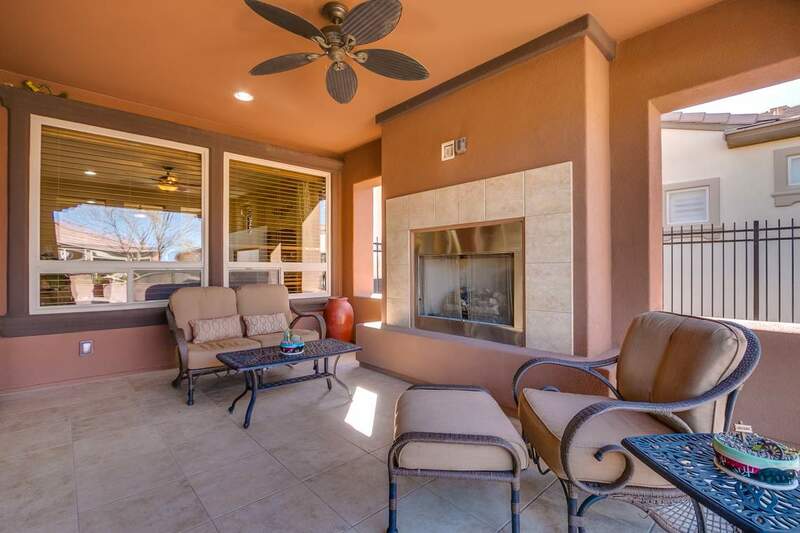 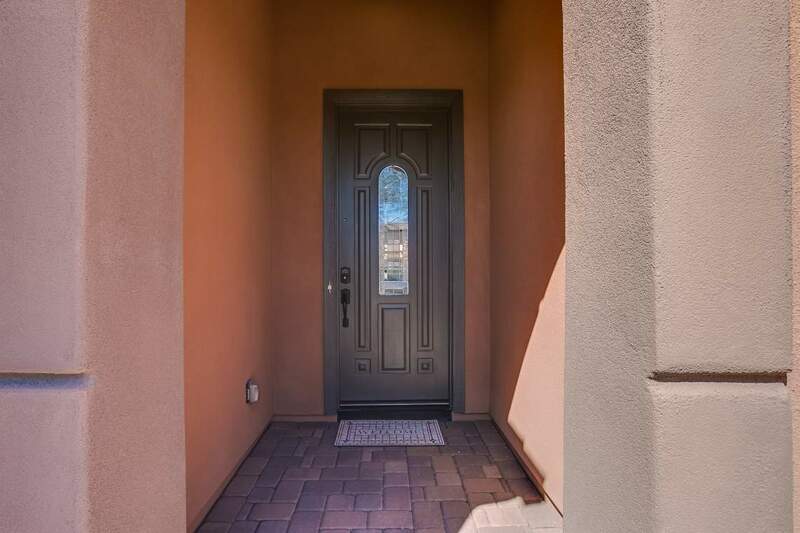 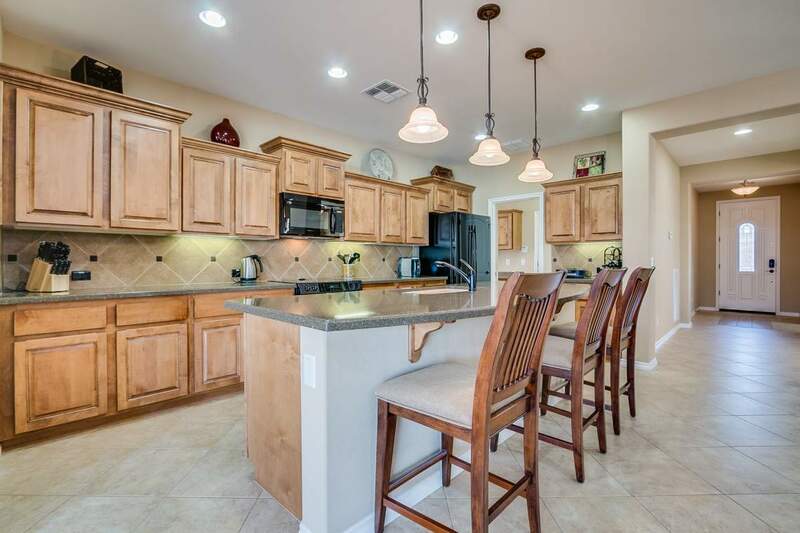 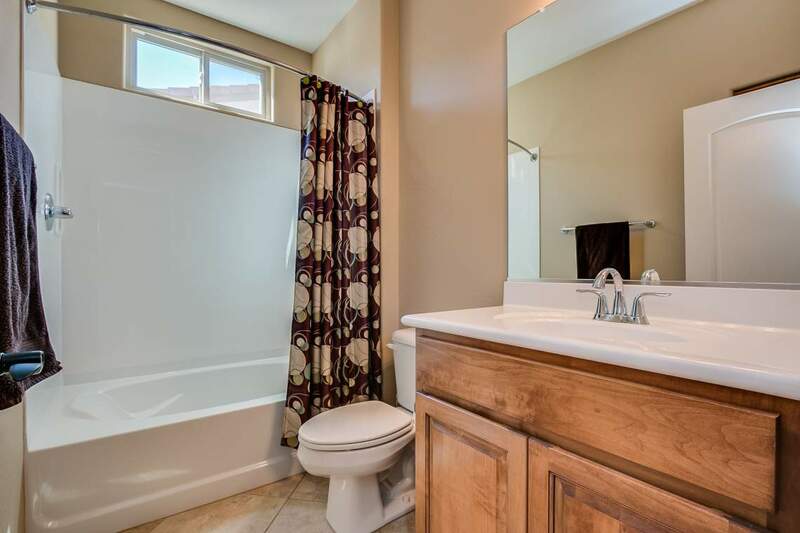 Inside you’ll find warm and neutral tile with custom paint. 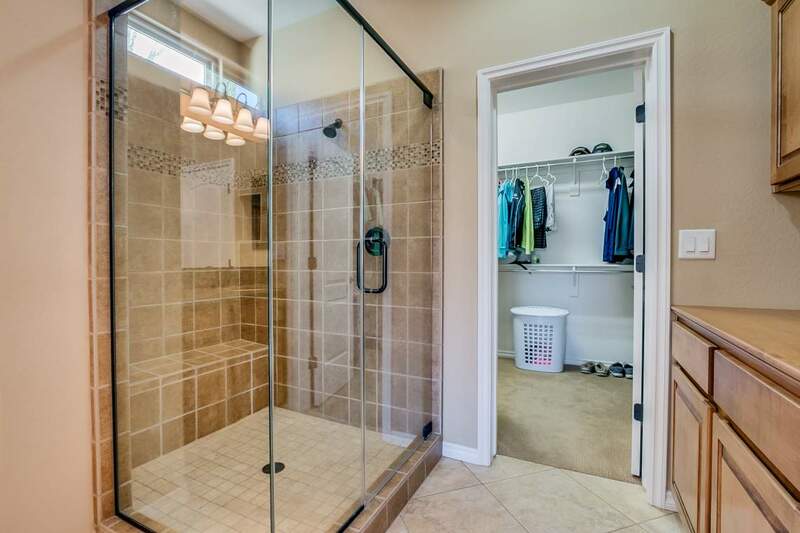 Beautiful tile surrounds can be found in the master shower and kitchen. 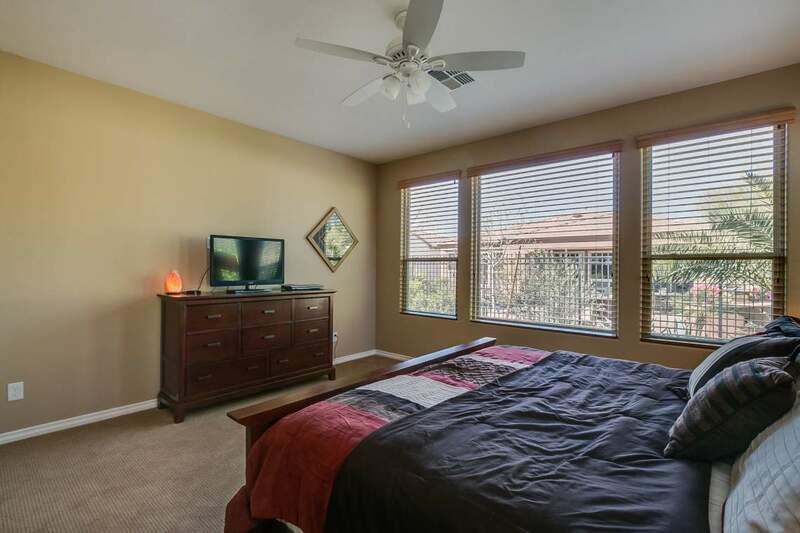 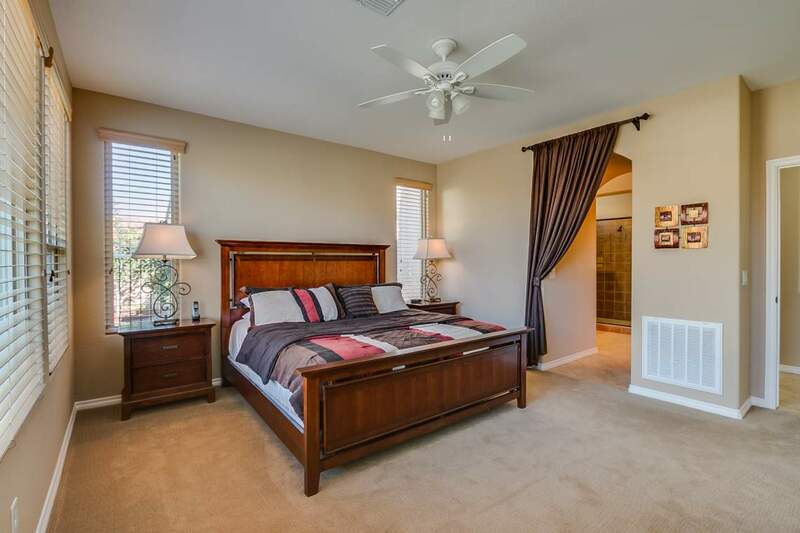 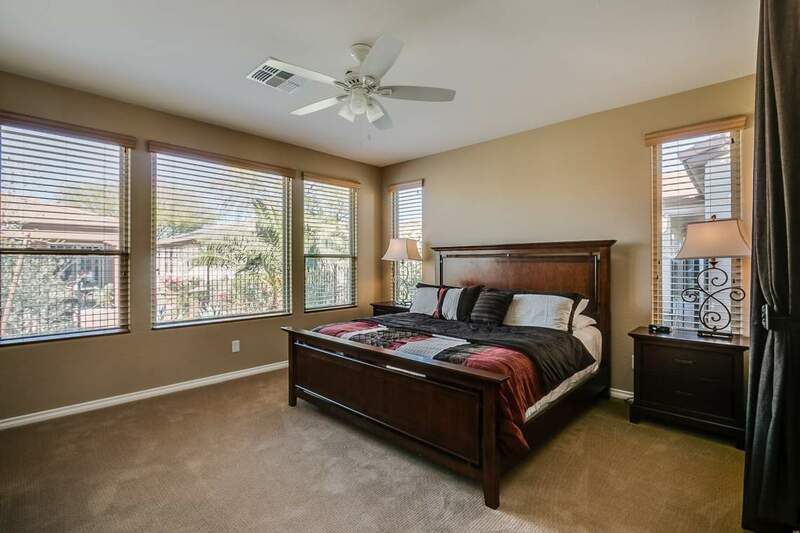 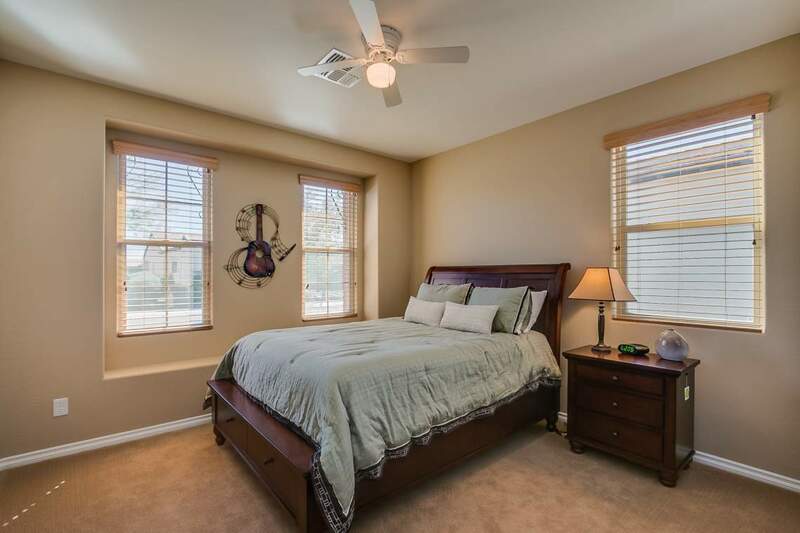 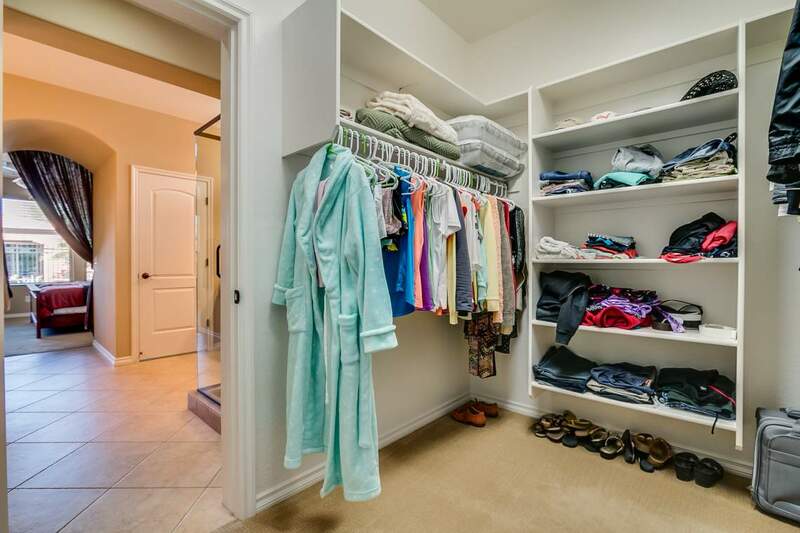 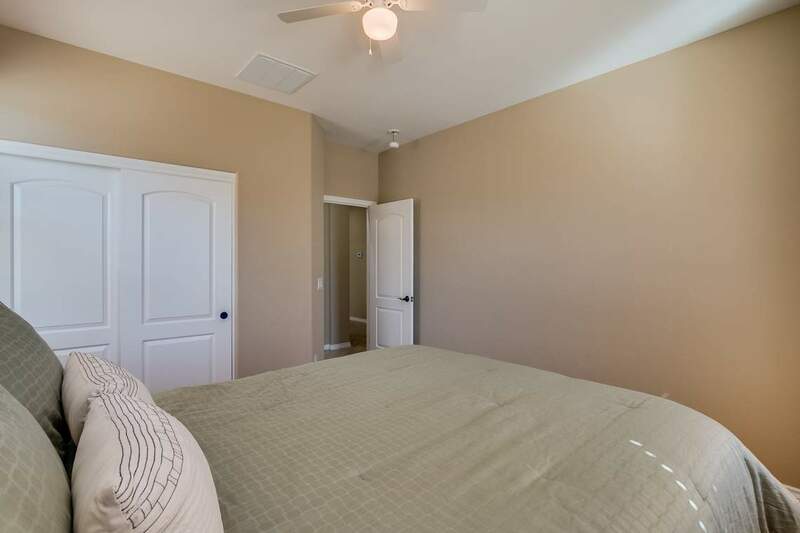 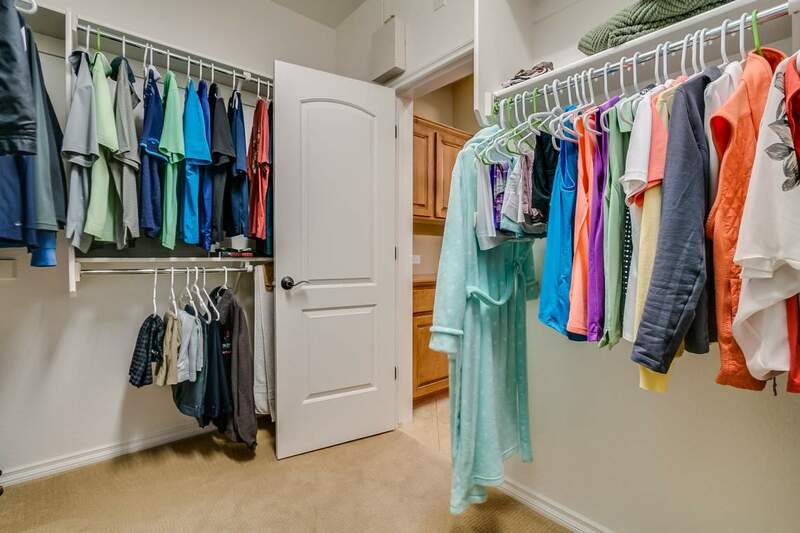 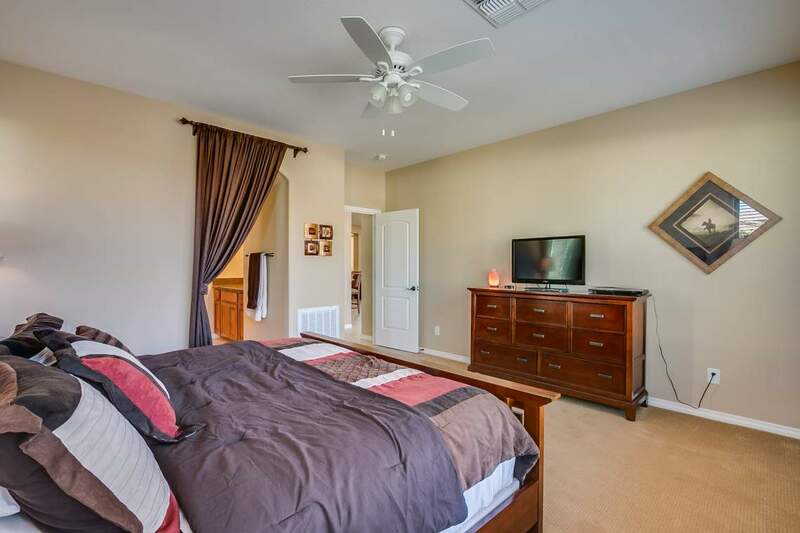 The bedrooms are spacious and offer plenty of closet space. 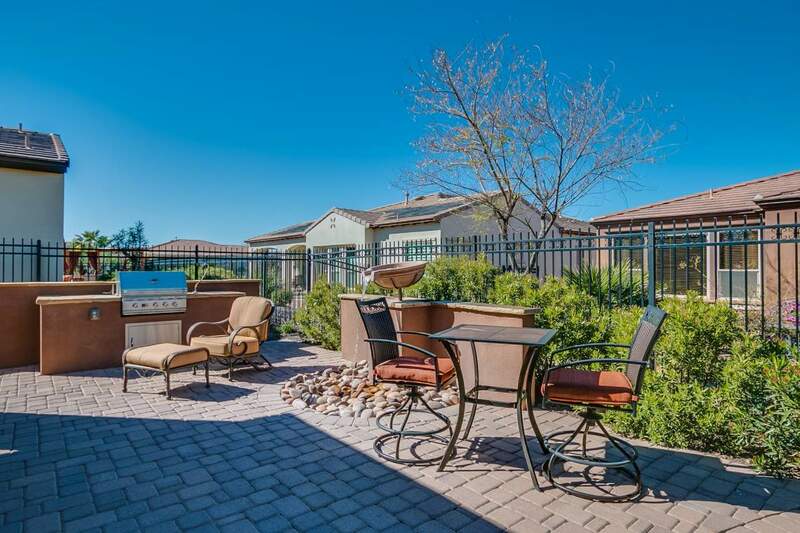 Encanterra offers world class amenities at your fingertips. 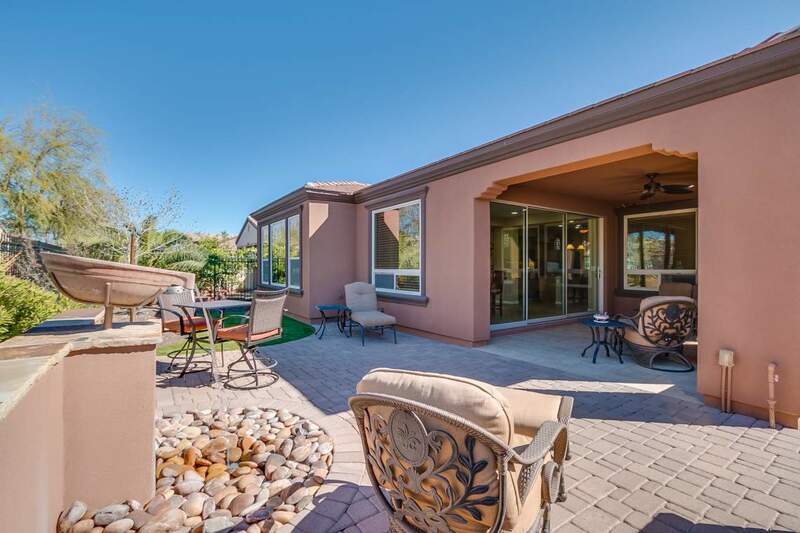 Start living the resort lifestyle today.